Kärcher has improved the original Window Vac again and developed an even more flexible model featuring innovative blade technology and longer battery running time – the WV 6 Plus. The new longer suction blade allows you to remove excess fluid from entire surfaces in just one charge. The Window Vac's extra-long battery running time of 100 minutes means you can keep going for even longer. You can plan your cleaning precisely thanks to the display which indicates the remaining minutes of running time. 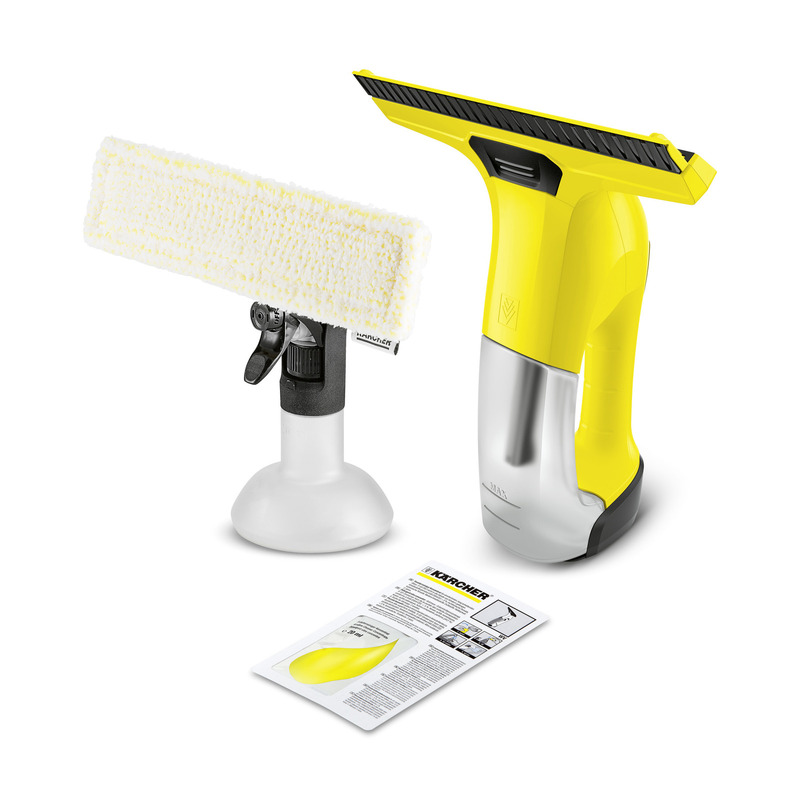 As usual, the intelligent combination of spray bottle and microfibre wiping cloth, along with the suction function on the Window Vac, guarantees extremely effective cleaning and sparkling clean windows – with no streaks or residue. The ergonomic WV 6 Plus Window Vac by Kärcher also allows you to clean your windows in an especially hygienic way, because you do not come into direct contact with the dirty water.